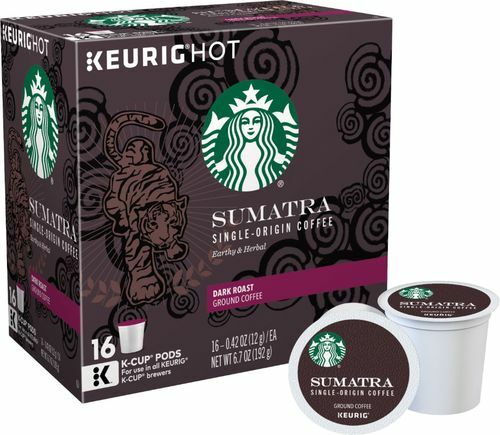 Featuring a bold, dark-roasted flavor, these Keurig 9511 Starbucks Sumatra coffee K-Cup® Pods provide a refreshing treat. The K-Cup® Pods are designed for use with Keurig single-serve beverage machines, so you can enjoy a single cup of fresh coffee. Compatible with Keurig single-serve beverage machines For brewing a single cup of coffee. 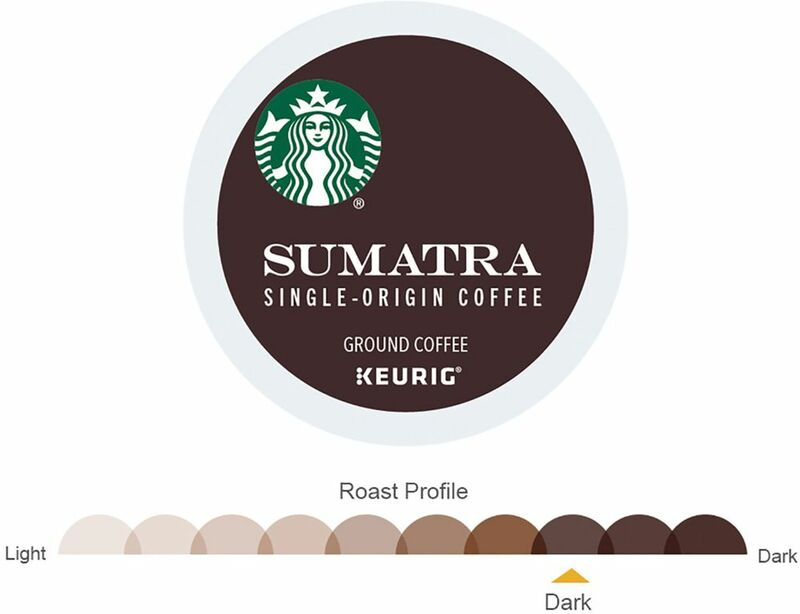 Sumatra coffee Offers a bold, dark-roasted flavor. 16-pack Ensures you have plenty on hand.